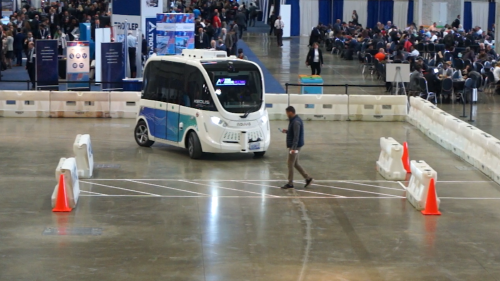 In January, those attending the 2019 Transportation Research Board annual meeting in Washington, D.C., got a chance to experience their first-ever ride in an autonomous vehicle – in this case, a self-driving passenger shuttle bus. French company Navya, which sponsored the demonstration, said its autonomous vehicle is not equipped with either a steering wheel or pedals. Rather, it uses high tech to avoid collisions and stay on course – no matter the time of day, weather, or obstacles such as inattentive pedestrians. Come along for the ride as Transportation TV introduces you to the autonomous shuttle revolution.